Weather terribly, terribly hotand very, very dusty. Diary LR 110 CSW writes: Oww!! Ouch!! Owwwww!!! Arrrgghh!! and Ooooff !! 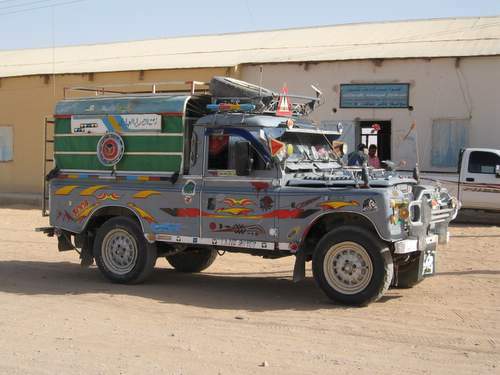 Photo shows the "after" in the MTV Sudan reality TV programme "Pimp my Land Rover" You probably can’t see that the finest enhancements are Toyota stickers all over.